Secure Storage Solutions — Adams Transfer & Storage Co.
We offer a variety of storage solutions for The Woodlands, Conroe, Houston, Dallas, Austin, and San Antonio! Your belongings and furniture will be secured in our modern facility, equipped with fire and theft protection. We have climate controlled and non-climate controlled buildings. All storage is containerized and palletised, and furniture is shrink-wrapped. These time-tested methods allow Adams Transfer to keep your items safe and secure as long as you need! 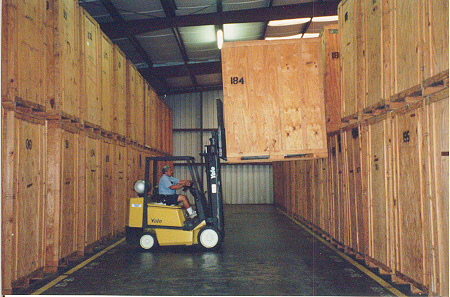 Delivery, pick-up, monthly container rentals, and vaults can be arranged upon request.